I was inspired by The Minimalist Baker to make THE easiest and MOST delicious healthy treat on the planet! With only 5 ingredients and 10 minutes of hands on time before popping these bad boys in the freezer, each one is 116 calories, and provides 2g of fibre and 2g of plant-based protein. And the best part is that two of these actually count as one of your Five-a-Day! So although dates are naturally high in sugars, the fibre, fat and protein content actually help to slow down the absorption of these sugars. My kids go wild for these and I am more than happy to indulge their obsession. I always have a big batch of these in my freezer and between us, they do not last long! · Melt the coconut oil. · Add the raw cacao/unsweetened chocolate protein powder and the maple syrup and combine well. · I use 3 tbsp of maple syrup, but taste and adjust the sweetness as preferred. · Set the chocolate aside to thicken slightly. · On a parchment lines tray, remove the stones from dates, being careful not to split them into two separate pieces — you want to create a little ‘well’ for the tahini to sit in. · Then carefully fill with tahini — using approximately ½–1 tsp depending on the size of the date. · Sprinkle with some salt and pop in the freezer for half an hour. 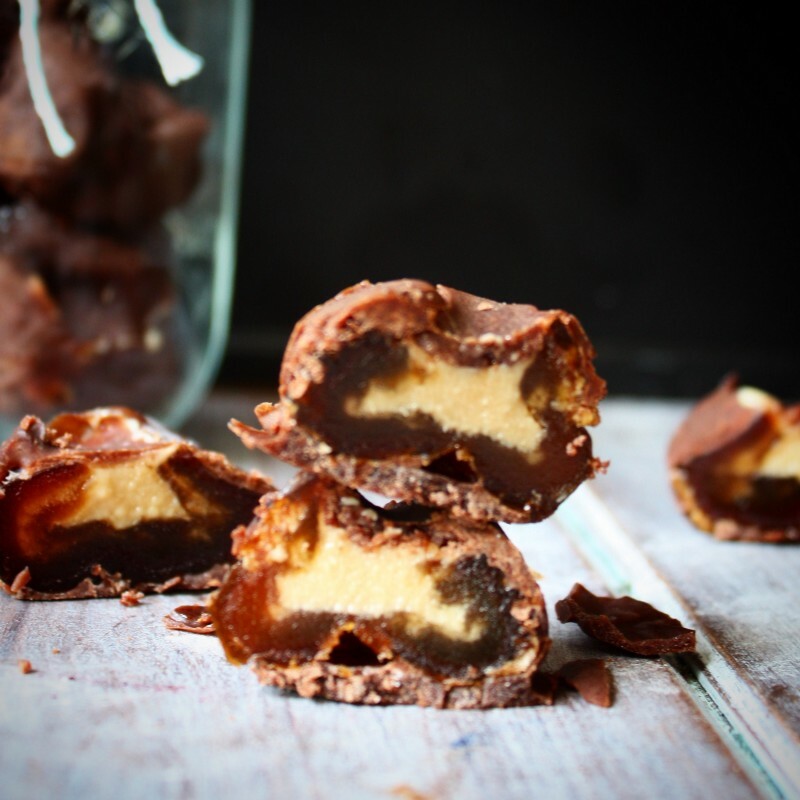 · After the dates have hardened, it’s time to smother them with chocolate! I normally poke a fork in one end of the date and dip them in the chocolate sauce. · Repeat this until all dates are coated. · I prefer to enjoy mine straight from the freezer, so I normally pop them back in for another half an hour or so to harden up even more. But they can be enjoyed immediately, albeit slightly softer. · Store in an airtight container in the freezer.